It is ironical that the French Bulldog was bred and developed in England. It was when the lace workers in England shifted to France, they took their dog with them and here they were given the name French Bulldog to differentiate them from their English counterparts. If you one of those apartment dwellers who are also scrambling for space but would love to keep a pet in your house then a French Bulldog may be the perfect answer for you. 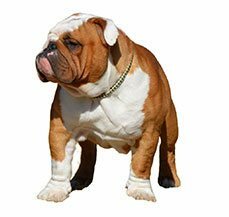 The name might be deceptive though the English Bulldog in medieval times was bred to fight bull in a game of bull baiting it is different for its French counterpart. This was bred to be a companion for the lace makers in England. This is a perfect pet for the family; they are adorable and can adjust to all family members and especially children. They do not bark much so this is another advantage for apartment dwellers. They are also called the toy bulldog by some. They have an even temperament and will be the perfect pets with small children and other pets as well. French Bulldogs make fun pets and have a comical appearance as well. They are fun dogs but you have to remember that training them will not be easy and if you are buying them solely for the breeding purpose then you might be in for a surprise, this breed cannot reproduce naturally and they have to be artificially inseminated. In addition to this be prepared for a C section most of the times in the breeding process as the head is a little big for the dame to ensure a natural birth at all times. The breeding might be difficult with this breed but grooming is something that does not take much time. 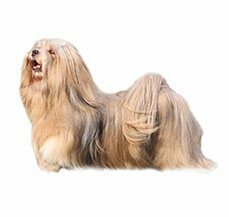 These dogs have short coat, which makes grooming extremely easy just a brush a week and they are good to go. The area that needs attention is the wrinkles on the face as this has to be kept moisture free. This may not be a common breed in India so let us help you to know them better to ensure that you select the appropriate breed and if you are already an owner then let us help you know them better. What better way to know them than start from the origin of the breed. Let’s start with this breeds history first. The French Bulldog originated somewhere around the 19th century in Nottingham, England. They were bred to accompany the lace makers and they wanted to create a lap version of English Bulldog to ensure company. Around 1860 during the Industrial Revolution the craftsmen came to France and then came the dogs with them. So, the French Bulldog was actually bred in England and not France. It is believed that the French Bulldog was a descended of the English Bulldog but it is not true, the Frenchie was bred from a shorter version of English Bulldog with the Pug and Terrier and that combination did wonders. The result was an amazingly adorable dog and as of today is one of the most preferred pets of the New York City dwellers now. French Bulldogs do not handle heat very well so you have to remember that your Frenchie has a brachycephalic face, which at times gives rise to various breathing problems. Their nostrils are just too compact and pushed in to their face. This does not allow them to breathe from the nose comfortably and instead you will see them breathing through their mouth open. Frenchies are unique in their breeding process as well. This breed cannot breed naturally, so they have to artificially inseminate them. This makes it extremely easy to know the lineage of your pet. The other characteristic that makes them different from other breeds is that almost 80% of the Bulldogs babies are born through caesareans sections so if are getting this breed home just to breed then this will not be an easy task. These breeds have large heads, which makes it all the more difficult for the birth canal. In addition to this they cannot swim, their short legs and stocky bodies do not fare well in water. So he or she is the not ideal partner for your water adventures and related activities. The French Bulldog is an adorable pet and has caught the fancy of the silver screen as well with their comical looks and antics. Here we give you a small list of movies and celebrities that you share your pet with. There are various movies that feature a French Bulldog; this is a small list though they might have been doing a lot of cameos in various movies as well. This includes At First Sight, Wigstock, Babe – Pig in the City, Grease and Just Married. The French Bulldog is famous in Tinsel town as well; they have caught the fancy of many celebrities. This includes actor Leonardo di Caprio, who shares this pet’s custody with this ex-girlfriend Giese Bundchen. Martha Stewart’s dogs have their own blog. Along with this there is a list of other celebrities as well, this includes Resse Witherspoon, Ashley Simpson, Hugh Jackman, Marion Lopez, David Beckham and Denise Richards. French Bulldogs are not a challenge to groom the only thing you have to keep in mind is the numerous wrinkles on your pet’s skin though cute can be a breeding ground for microbes and infection. This has to be cleaned on a regular basis to ensure that there is no moisture trapped in it. You should ideally use cloth to clean the wrinkles. The short hair of French Bulldog is easy to groom, you just need to brush it with a firm bristle brush. They are average shedders so you will not see hair lying everywhere around the house. Brushing his or her coat once a week will be enough. In addition to this you will need to follow the regular grooming regime with your pet that is brushing the teeth of your French Bulldog, this should be done at least on a weekly basis as this will help to remove all tartar buildup and ensure a fresh breath at all times. This will also prevent various gum diseases in your pet. The toe nails will also be required to be trimmed on a regular basis so to prevent any problems further as dog nails have veins in them and if it gets chipped then it can be very painful for your pet. You should always start this grooming regime in your pet from an early age as this will ensure that he is not temperamental with someone touching his feet, mouth or ear at a later stage. French Bulldogs are generally a healthy breed but you have to remember when getting a puppy home that almost all and every breed has a chance of developing genetic disorders and they can also contract any of the common diseases. So this not a word of law these are just some of the unfortunate cases that you can encounter with your Fenchie at times. One of the most common problems in your French Bulldog is of hip dysplasia, in this condition the femur does not fit in the pelvic socket of the of the hip joint. This is an abnormal growth in the hip bone and can be treated with surgery. The breathing through the mouth leads to a lot of farting of problems in your pet. So an air freshener at home will not be a bad idea. In addition to this there are a plethora of congenital and orthopedic diseases that your Frenchie is prone to. Frenchies can get various allergies very easily. This can be food based; contact based and can be caused as a reaction as well. The treatment depends on the kind of allergy your pet gets. It can be treated by eliminating some food from his or her diet but in severe cases it will require medications. 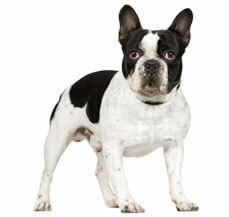 In addition to this Frenchie can easily get various joint problems and heart defects as well. This includes various cardiovascular problems that can further trigger various health issues. You have to remember to give them appropriate diet and regular walks to maintain their general health. French Bulldogs are the perfect family pets; they love companions and are affectionate and playful. 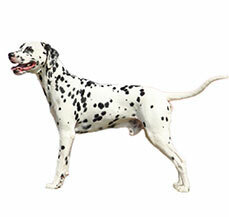 They are a lively breed without being yappy, so this will be the perfect companion for apartments and condominiums. Some pet owners say that these cute dogs have a comical appearance and love to clown around in the house. Frenchies will get along with strangers as well and are an easy going breed. They at times can have the small dog syndrome, in this the dog thinks of him or herself of being a bigger and stronger stature than its original size. They are not only great with kids but are perfect pets for seniors as well as they would enjoy a laidback lifestyle that is without the need of heavy exercise. This is an intelligent breed they can be extremely headstrong at times. So this is not really the ideal breed to train you will have to follow a training program with a lot of food rewards and praise. They love their family so do not be surprised when Frenchies will not need much exercise so if you are looking for a breed that curls and sleeps on the sofa then this is the breed for you. They will love to chase balls and play within the house but will not be happy when left in a yard so they will make perfect pets for the inactive house. The size of your French Bulldog makes them perfect for apartment living. They can be the perfect companions in small and compact places. If you are keeping them in a house with a yard then ensure that they are not left out for long hours in heat as this might be fatal for them. This breed is prone to heat exhaustion and heat stroke. Frenchies make great companions for all your children, their even temperament and less exercise requirement make them the perfect companions for your children. In addition to this they get along with other pets as well, though it is always advisable to socialize early to ensure easy acclimatization. These small dogs are perfect for families that have a low activity level as the breed themselves do not require much exercise. In fact a 15 minute playing session will see your pet looking for a napping place. Just keep one thing in mind when getting a Bulldog home they need to be taken out at a time when it is a little cooler. Heat is fatal for them because of their face structure. Training you French Bulldog will be not easy so when you get him or her home just remember that he is never going to get the coveted gold star for training in his class. This is a headstrong breed that does what he or she wants to do hence they are not the easiest to train. If you are getting a puppy home then remember that this cute and short dog will be a bundle of energy but as time passes he will mellow down to a great extent. This is an intelligent breed so the only thing you need to keep in mind is that always start with basic obedience training. Haste in the training will not get you anywhere. Though small in size they can exude formidable force at times when they need to and can take you where they want to go. So, though training is required it will need persistence. You have to keep it in mind though that it is going to be difficult to house train your Frenchie puppy. It will take time to house train him, ideally you should start with crate training. You would need a lot of patience to perfectly house train your puppy. The French Bulldog looks a little similar to its distant cousin the English Bulldog, it has a sturdy and compact body with short hair and wrinkles around the face. The chest is broad and deep in the front of the dog and wider on the back end and looks like a pear. It has a large square head along with a rounded forehead; the muzzle is broad with a deep and well defined stop. The nose is black and is lighter in light colored dogs, the upper lips hang over the lower lips and has a under bite. Frenchie have prominent eyes that are set wide apart and are dark in color, the bat ears stand erect and are broad at the base, which narrows down to a triangular shape and is a little rounded at the tips. They live on an average to about 8 to 10 years.